The Companies Bill 2017 that was passed by the parliament on 10 March 2017 has effected some key amendments to reduce the compliance requirements, improve transparency regarding ownership of entities and to enhance the competitiveness of Singapore as a business hub. 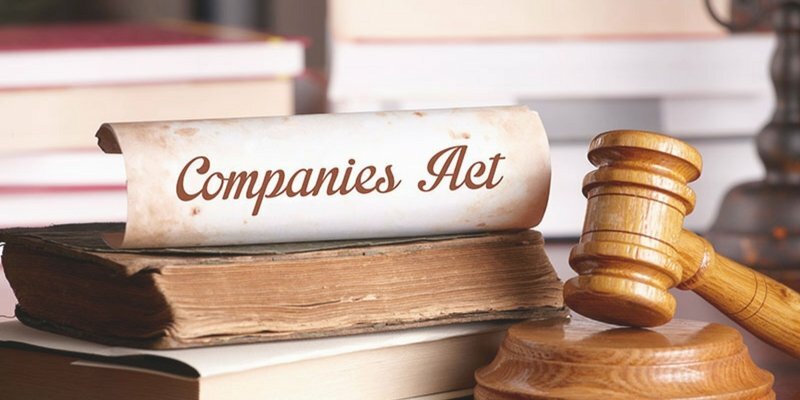 The Ministry of Finance and the Accounting and Corporate Regulatory Authority (ACRA) recommended the amendments after a joint review of the Companies Act, with the amendments taking effect in three phases. Here is an overview of the key legislative changes that have come into effect since 31 March 2017. All companies incorporated in Singapore and foreign companies registered in Singapore must maintain a register of registrable controllers. Registrable controllers refer to individuals or legal entities that have a significant interest in/ significant control over the company. Listed companies, Singapore financial institutions, and companies that are wholly owned by the government and the subsidiaries of such government companies are exempted from this requirement. Companies that are incorporated on or after 31 March 2017 will have a transitional period of 30 days to set up the register. The register can be maintained in electronic or paper format and must be kept at the registered office of the company or at the registered office or its filing agent. The company must notify ACRA on the location of the register when filing the annual returns. A controller is said to have a significant interest in a company when the person or the entity has an interest in more than 25% of the shares or shares with more than 25% of total voting power in the company. In the case of companies without share capital, a controller with significant interest would constitute a person or entity having the right to shares in more than 25% of the capital or profits of the company. The register shall not be made available to the public; however, public agencies and officers acting on behalf of such agencies must be given access to the register when required. From the date of commencement of the law, existing companies have 60 days to set up and maintain such register and new companies that are incorporated on or after 31 March 2017 have 30 days to setup and maintain the register. Companies are required to disclose the status of nominee directors explicitly. Particulars of nominators to their companies must also be maintained in such register. The register is not a public register but access must be given to officers of public agencies in the event of any enquiry. Similar to the existing requirement on public companies, foreign companies are required to maintain a public register of members or shareholders. Henceforth, the issuance or transfer of bearer shares or share warrants by Singapore-registered foreign companies will be void. The officers/partners/managers of companies that are struck down will have to retain the records of the company, including books of accounts, for a period of five years. The liquidators of companies that are wound up must retain records for a period of five years instead of two. Effectively, this removes the option of companies to destroy records early in the event of the company being wound up by members or creditors. The removal of common seal obligation will reduce the cost of acquiring and maintaining a common seal; however, companies that conduct transactions in other jurisdiction may still require a common seal if the foreign jurisdiction where they operate mandates such a requirement. Henceforth, companies that are incorporated newly, if they choose to do away with the common seal, must ensure that their constitution does not include the provision for common seal and in cases where the Model Constitution is used, the company must opt out of the provision for the common seal. Existing companies that wish to do away with the common seal must amend the constitution after due diligence. The new requirements relating to the mandatory registers, especially the ‘Register of Controllers’ is an extension of the existing KYC obligation of the corporate service providers. The maintenance of such a register would prevent the misuse of the corporate veil for money-laundering and other tax evasion purposes. Clear identification of beneficial owners and their particulars would enhance the transparency in corporate administration. Although the company will not be liable if the relevant persons to whom it has sent notices asking for registrable information fails to respond, it must continue to send such notices periodically, at least once annually. This is essential because a company is required to ensure the accuracy of particular and keep the information current and updated. Though sending such notices will be a cumbersome practice, it will help to prove that the company has acted in good faith to discharge its duties. The maintenance of Register of Nominee Directors will clearly notify the status of such directors. This would prevent any potential misrepresentation of their authority and aid them in their fiduciary duties without being personally liable. Howsoever, such nominee directors must be fully aware of the nature of the business of the companies and exercise due diligence to ensure that the companies activities are legal in order to effectively discharge their duties. Retention of company records for an extended period will assist the process of investigation and trace the history of transactions and beneficial owners if the wound up or struck down the company is flagged in a scrutiny by regulators or public authorities. On the whole, the amendments address the gaps in the legislation and corporate service providers will now find it much easier to ask for particulars from their clients by citing the legislation. Such mandatory registers will add to the reputation of Singapore as a clean and trusted financial and business hub.